as a started: lower your electricity bill and install some solar panels & batteries – especially if your company is located somewhere sunny. 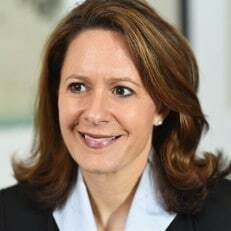 “Kristen is a Deloitte Risk and Financial Advisory partner serving as the Sustainability Risk Advisory and Assurance services leader in Deloitte & Touche LLP and Deloitte Touche Tohmatsu Limited (DTTL). Kristen also serves as the DTTL Americas Region Sustainability Services leader and leads Deloitte’s Supply Chain Social Compliance services. She brings specialized insights to these regulatory and compliance reporting requirements and the implications of environmental and social issues to corporate brand and reputation. I hope sustainability (a lot of CEOs do not even know what this word means) is more to Mrs Sullivan than a “marketing instrument” like “we repaint your factory in green and hope to hide the smoke of your factory’s chimneys”. It does not work like that – if your company produces things that harm people or the balance mankind depends on – it is not contributing to sustainability but the opposite. Actually there are companies that have embraced sustainability and even gained productivity.